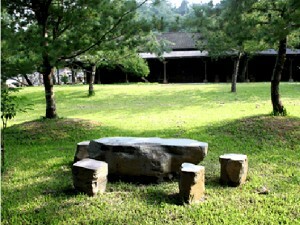 About Us- Zen And Pine Resort, Nantou County, Taiwan. 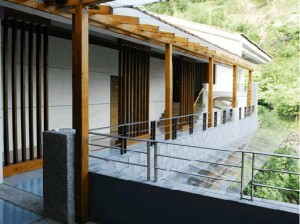 Zen and Pine Resort is located in Shuili Township, Nantou County. Covering an area of over 24 square kilometers, the resort is built on what was the second largest lumber landing and mill site in the Shuili area during the 1960s and 1970s. After the 921 Earthquake, a local celebrity, Dr. Yang purchased the land and began an ambitious reforestation effort planting large numbers of Taiwan White Pine trees. Although it requires several years for such pines to reach their potential, these magnificent trees currently provide a uniquely beautiful setting for one of Nantou County’s most enchanting accommodation spots. Zen and Pine Resort is a fully licensed facility Based on Dr. Yang’s principles of sustainable operation and respect for national regulations. Pine Garden B&B, license no.260, and Zen Garden B&B, license no. 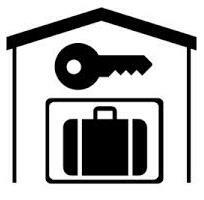 279, comprise two separate accommodation complexes, but are jointly managed by the Zen and Pine Resort team. Zen Garden(禪之園) and the reception hall of Zen and Pine Resort retains a classic simplicity built in Japanese style architecture with a red brick exterior and white interior walls. Influenced by the traditional Japanese house style, Pine Garden(松之園) features Taiwanese red cypress log houses cozily accented with hexagonal red floor tiles. During a stay in this relaxing setting, you are truly able to slow down your pace and enjoy the waving leaves, the singing birds and the chirping insects that are a daily part of the Zen and Pine Resort experience. Just beyond the Zen and Pine resort property, there are many famous tourist spots to conveniently explore. The intriguing Shuili Snake Kiln is a brief 10 minute stroll away, picturesque Jiji Township lies just 15 minutes to the northeast, and lovely Sun Moon Lake, a key attraction in Central Taiwan, can be reached in a half hour. Other notable sight-seeing locations nearby include the Checheng Recreation Farm and the Dream Works of Mei plum winery and gift shop in Xinyi Township. 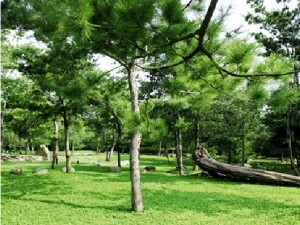 The Zen and Pine Resort is a convenient gateway to local sites and situated within reasonable distance from Taichung City. Both the Taichung Airport and High Speed Rail Station are within an hour’s drive.